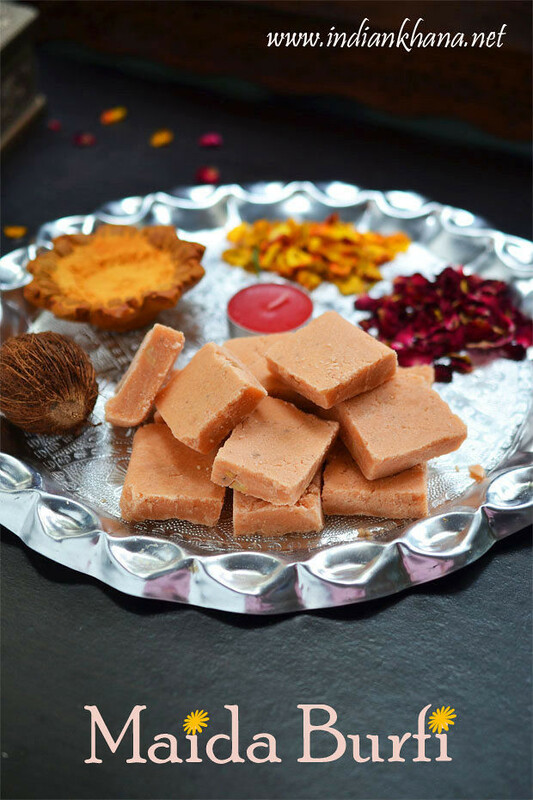 Diwali is nearing and most of you must be gearing up for the festival to shop, clean house and also to think what to sweets, snacks to prepare. 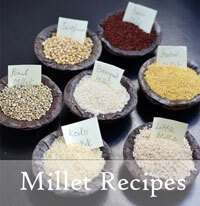 I will post few recipes which will be easy and useful for your diwali celebration. 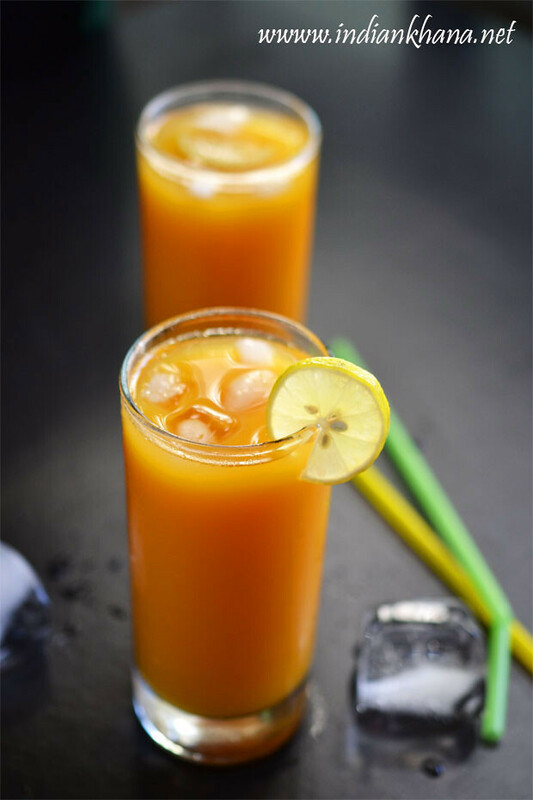 I have got request to post more of healthy sweets and snacks recipes to post, and what one consider healthy is very subject full matter but I will try my best. I have already coconut laddo recipe which is super easy made with only 2 ingredients and another coconut khoya laddo with gulkand surprise, and coconut burfi recipe posted so you can see my love for coconut base sweets :) This laddu we can also make with sugar instead of jaggery so you can do the same if you don't like jaggery or you can also use palm jaggery. 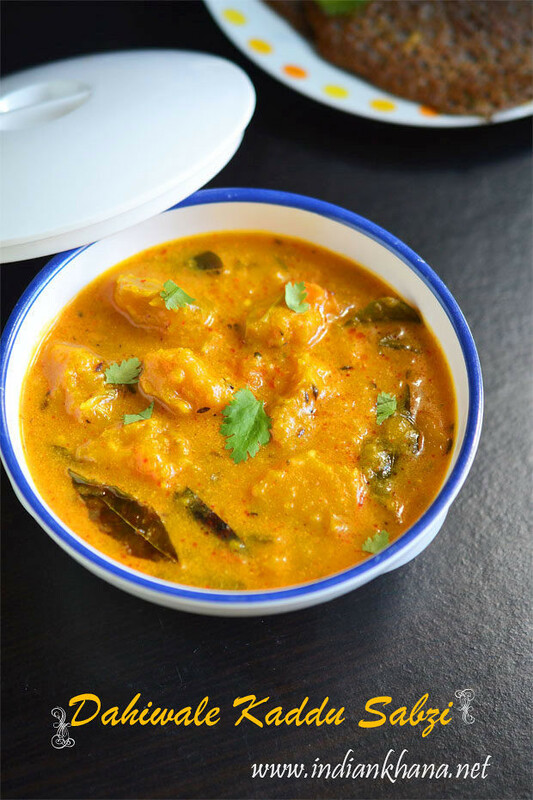 I made this on dussehra day for simple naivedyam and this recipe is quick and easy to prepare. 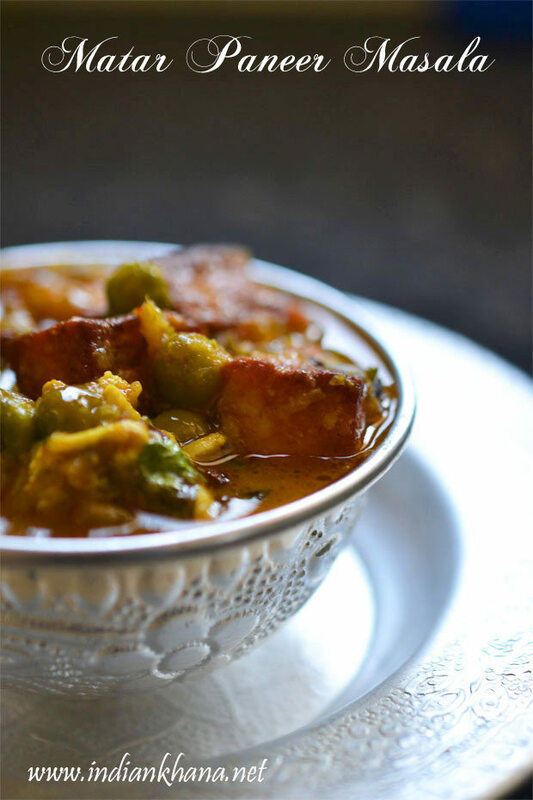 If you are looking for anything specific for diwali drop a comment and let me know and if you try any of recipe informe and share a picture with me :) meanwhile leaving you with these beautiful kobbari louz. 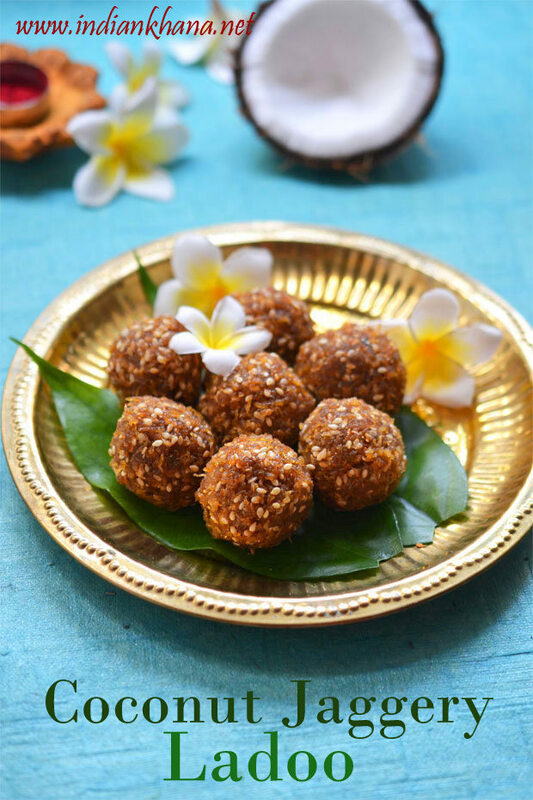 You can check other Ladoo Recipes, you can also check Diwali Sweets and Diwali Snacks recipes collection. 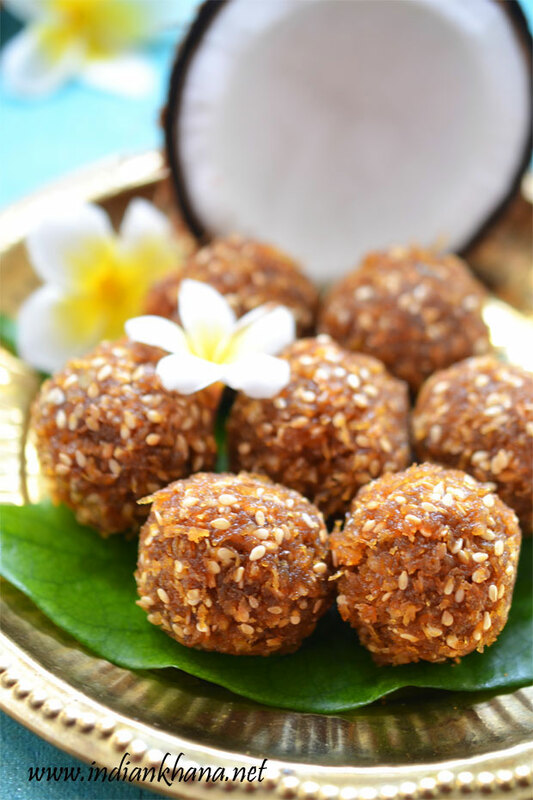 Easy and delicious fresh coconut ladoo with jaggery. In a pan or kadai dry roast sesame until it becomes and starts to pop keep aside. 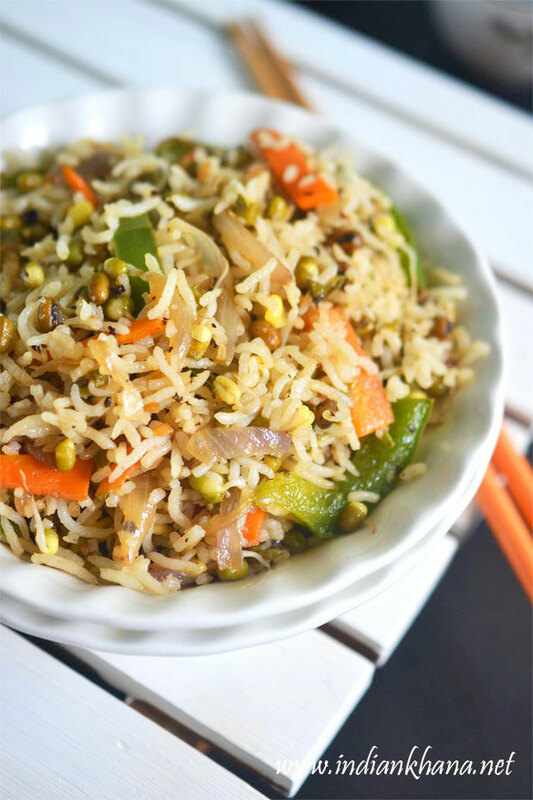 Add grated coconut, jaggery and cook on slow flame with regular stirring until jaggery melts and coats coconut. Keep cooking in slow flame until the mixture becomes almost dry. 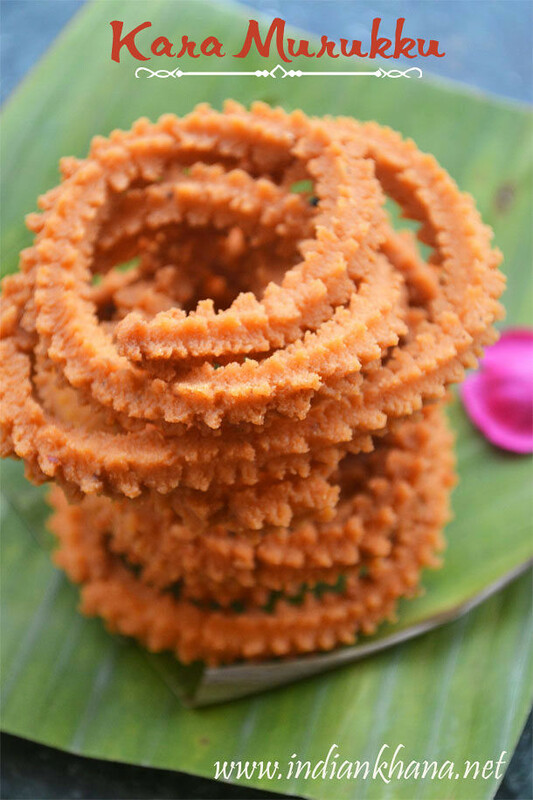 To check if any more moisture left, press coconut-jaggery mixture with the laddle if any moisture left you can see it like in below mixture, cook for another 2-3 minutes but the whole cooking has to be done in slow flame it takes around 10 to 12 mins. 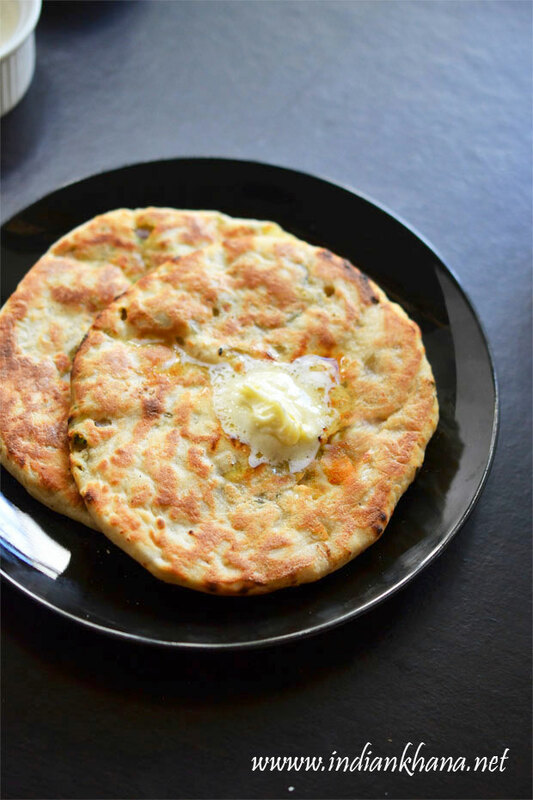 Add cardamom powder, ghee, sesame seeds and mix well to combine everything well. 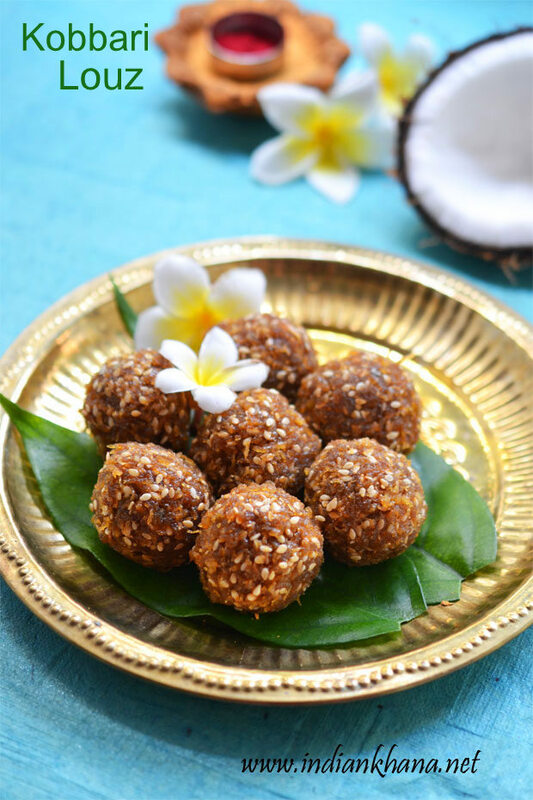 Transfer the mixture to a plate or bowl and allow to cool, when the mixture remains slightly warm take gooseberry size mixture, press and roll to shape in to ladoo or round ball, repeat same for rest of mixture. 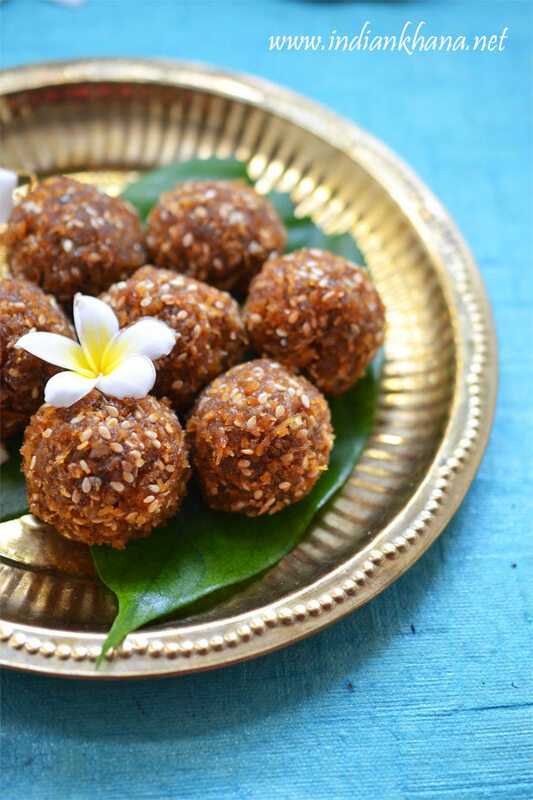 Store with arrange in single layer in a air tight container, this ladoos stays good for a week if refrigerated. Adding sesame is option but that's add good crunch and make the ladoo looks beautiful, isn't it?. 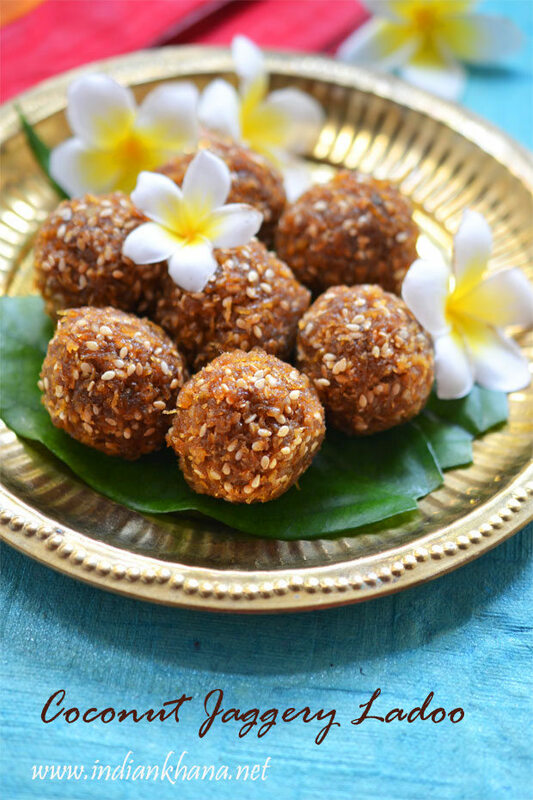 For vegan version, you can skip the ghee totally, this ladoo comes good without ghee too. 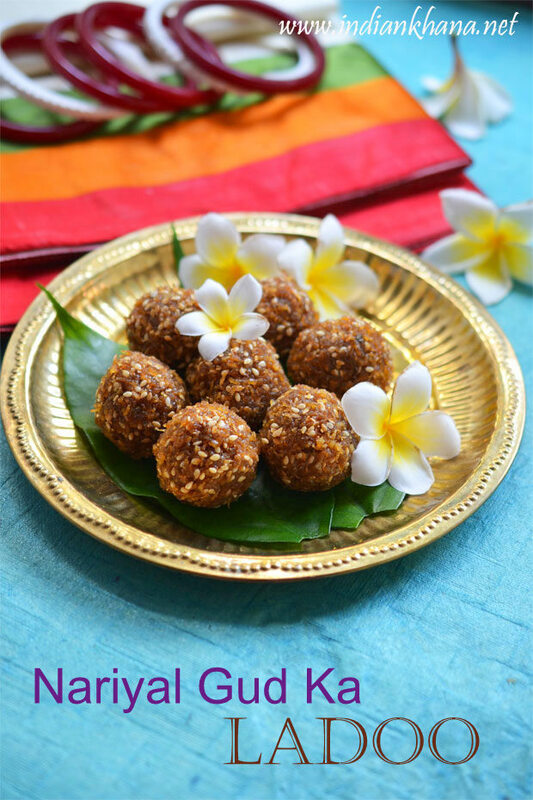 Easy and quick nariyal gud ladoo for diwali :), you might also like Diwali Sweets Recipes and Diwali Snacks Recipes.